When we hear the word “change”, a lot of different thoughts and emotions can come to our minds. Change in your personal life might make you a bit excited or anxious, yet changes at work nearly always make people feel uneasy, angry, sad, lethargic, and a handful of other negative emotions. Some employees might be excited for the upcoming changes, but the majority will be feeling some version of upset. Why do employees resist change so much? What makes workplace change so much more difficult to handle than other types of change? These are the issues that face any team leader as they approach a time of change management. 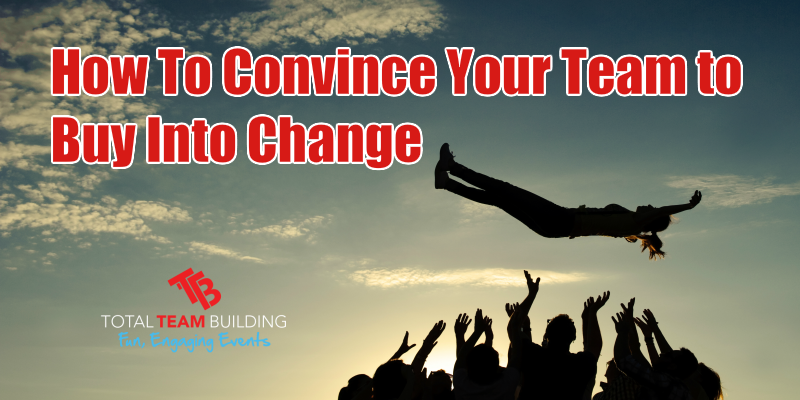 This article will talk about some of the most effective ways of dealing with change and helping to convince your team members that it is a good thing which they should embrace. These are strategies that have been put into practice and proven to be useful over the years. Going it alone might make the process of change more difficult than it should be for you as a leader. If you can bring in a company or consultant who specializes in transitions and corporate or team change they might give you great direction on how to proceed while also supporting you in taking the necessary actions with your team. Remember that not everyone will embrace this change at the same rate. Some team members are going to buy into the ideas very quickly. The majority of people will take a little longer, but not too long. Unfortunately, there is nearly always a small group of people who might take months or even years to fully adapt to the change being made. No matter what, you can’t forget these employees as they are still a part of your team. They have experienced some form of change trauma, and that can be hard to recover from unless you are well supported and moved into the new system properly. Stand your ground on the fact that this change is both necessary and beneficial, but give them the time they need to see that for themselves as well. Don’t force anything on your employees that will make them feel rushed and uncomfortable. Demonstrate Why Change is Necessary. Find something solid and visible that proves the need for the change which is being made. This might be something to do with one of your products, a video about the inefficiency, pictures of something which is going wrong in the company or for the consumer, or anything else. The point of this is to show your team what’s happening and why it’s bad for business. Speak to your team logically and reasonably if you want a better chance at winning them over. During uncertain times, it’s good for team morale if the leader is doing a good job at presenting the evidence of a need for change while also showing the chosen solution to the problem. Your team members will all be feeling differently about this upcoming or current change, and you MUST acknowledge those feelings as valid and respond to the concerns raised by employees. One way that some companies have achieved this is by hosting an anonymous forum for employee discussions about the changes which are taking place. A facilitator will host the forum and share with you whatever information is gained during that time. This allows you to accurately know what emotions and feelings your team is feeling and respond appropriately. If at all possible, start introducing small changes long before a final, larger change is made. This will give employees time to adapt to some of the new work practices rather than having them launch into an entirely new environment suddenly. If they begin to feel comfortable with the new changes you have implemented, then they will at least have something to hold onto which will not disappear when change comes. One of the single most important things you can do to ease your team through change and to help them buy in is to communicate openly and honestly. Honesty from a leader is always important, but change in the workplace tends to bring out the worst in employee-management relations. Many of your team members may feel as if trust has been broken, especially if there was any downsizing or layoffs during the change process. Communicating openly and being honest with your team are the only ways to start building that trust back up and helping your team to come to terms with the new way of operating. Not many leaders particularly enjoy implementing large changes in the workplace, as it is impossible to truly predict what you will be facing from your employees. However, good leadership is the only thing that can bring a team through the change management process without everything falling apart. In today’s dynamic business atmosphere, change is nearly inevitable for every company regardless of the industry. Change happens, but how you manage that change can make the difference between high rates of team acceptance and rates of rejection or rebellion. Choose to use the best practices and make your change management as smooth of a process as possible. 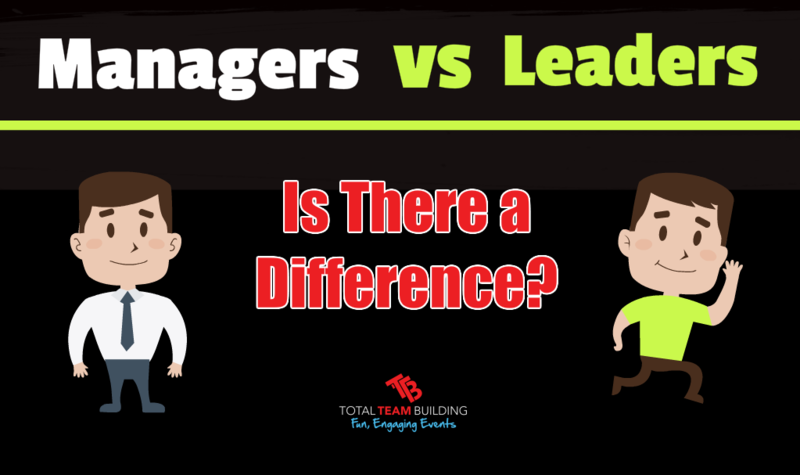 The terms “manager” and “leader” used to be used interchangeably; however, in more recent years a difference in usage has developed for those separate terms. Managers are said to be responsible for maintaining operations, organising, and controlling short-term administrative duties. Leaders, on the other hand, are those who motivate people, think long term, and create new innovations by not following the status quo. What Are The Differences Between a Manager And a Leader? These listed differences are based off of general usage of the two terms in a business context and are not specific to any industry, organisation, or type of team. Managers are not necessarily responsible for the vision and goals of a team. The main purpose of a managerial position is to maintain the current best practices in an organisation. This means that managers don’t have as much freedom to deviate based on what they believe are the best goals for the team. Leaders are the ones who sit down and think ahead to develop a vision for the team as well as goals to be reached by the team. These will be passed on to management to implement in most cases. Leaders tend to make individual plans rather than implementing those given to them. A team leader has more control over what the team should be doing at any given time. Rather than taking plans from higher bosses and using those for their team, they will be the ones figuring out what the best course of action is and delegating tasks to team members. Managers are in place to look at what’s going on in the business and choose the best response from their training and guidance. Leaders are expected to look ahead and change direction to navigate around any incoming obstacles. Leaders are required to problem solve, managers report problems or use set solutions. Similarly to point number 3, good leaders require the ability to problem solve. They have to be able to adapt and adjust to the dynamic environment around them in order to find the absolute best way to solve a problem. Managers are more likely to be the ones who are reporting issues they are seeing and asking for a way to continue forward with solving the problem. This is partially because a manager may not have the same freedoms that a leader does in the way the team should be led. Managers choose the best strategy to use, leaders create new business strategies. As a manager, you are trained in business strategy and taught about which responses are most appropriate for different situations. You do not necessarily come up with the strategy, but you are the one who is tasked with making sure it is implemented and followed. Leaders are those who will be taking the time to study the external and internal environments around the business and deciding in what ways the team can act in order to reach the goals most effectively. Leaders are knowledgeable in many areas, managers specialise in one or two. Specialisation can be a big advantage for managers as they are mainly concerned with a few specific functions of the team. Leaders have to have a broader knowledge of all aspects of the team and the organisation as well as the industry so that they can perform their expected duties with excellence. As an authority figure over your team, you have to periodically ask yourself this question: are you a leader or a manager? You don’t necessarily have to fit into all of the normal roles of either and can easily adapt characteristics of both a leader and a manager at different points in your career and depending on the needs of your team. Leadership is not a static thing. It must be fluid and ever-changing as the circumstances of your business change. Learn to take on the necessary traits of both a manager and a leader whenever they are needed so that you can bring the best out of your team at all times. Total Team Building specialise in teams…we facilitate fun engaging experiential team building activities designed to enhance leadership, communication and collaboration. 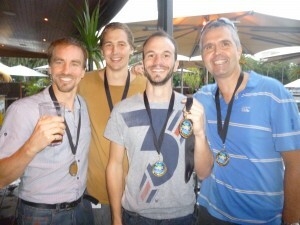 For more information about how Total Team Building can help you and your team contact us today. Do you have what it takes to lead your team to success? Managing teams is often one of the most difficult parts of holding a leadership position in your workplace. How can you create a successful team and then achieve your business goals together? How can a team be expected to do the right work and make forward progress for the company when they don’t even know where the company wants to go? If higher up, corporate goals are unknown to employees, or if those goals seem completely disconnected to what the employee does every day at work, performance will not be at its highest. To improve performance, you have to let your team in on what the corporate goals are for the organisation and show them how their individual work contributes to that goal. Without this link, employees can engage in work activities which are unrelated to the company goals or lose their motivation based on a lack of knowledge about how they are helping to advance the company. For this to work out properly, you will have to get feedback from your team about the daily goals they will be working towards. Are the goals useful for meeting objectives? What might be a better way to do it? Does this metric accurately reflect on the work activities done by employees? Answers to all of these questions get your team thinking about how they can help reach business goals and provide a source of motivation, as the team is now completely aware of how they are contributing. Avoid vague goals such as “do the best work you can”. The American Psychological Association found in a study that employees who are given such types of goals generally do not perform as well as those given specific and challenging goals. Micro management of your team is a mistake many leaders make when the team is new or when the team is underperforming. Unfortunately, this usually leads to lower performance levels and does nothing to improve the team overall. Pay attention to how your team members work and ask yourself this question: how much autonomy can I provide this team? Teams made up of self-motivated employees need little to no supervision as long as your give clear direction about what they should accomplish. However, teams with employees that are not self-motivated will require more supervision of daily activities to make sure that goals are being met. Creating a system of accountability will encourage team members to keep track of their own progress without falling behind on work. If employees are each accountable for what they accomplish during the day and what they add to the overall goals, they are more likely to work well on their own without you having to spend your time checking up on everything your team is doing. Teams with higher levels of trust for management and leadership figures are more likely to perform well and to have a more positive impression of the company in general, says a study published by Delft University in The Netherlands. While it’s sometimes hard to see the impact of great leadership, it will show up in the successes of the team. If your employees don’t trust you to make good decisions, to think about their well-being, and to lead fairly and responsibly, they will not give all their efforts to your team projects. Many team programs focus on building trust between employees without paying much attention to how trusted the manager of the team is! This is an oversight which might end up costing you a lot in the form of wasted time, missed goals, and general team lethargy. When your team members put forth great effort in order to reach a goal, it’s worth recognizing their actions. If you fail to show your employees that you are appreciative of their hard work, they will be much less motivated to work hard in the future. Imagine if employee X and employee Y are on a work team together. Employee X is a hard worker that usually has to pick up the slack for underperforming team members and do extra work in order for the team to accomplish daily goals. Employee Y is an average employee that sometimes underperforms, but usually does nothing more than what is absolutely necessary. If you acknowledge the team’s success as a whole and do never recognize individual contributions, you are subjecting employee X to feelings of frustration and bitterness, as their extra effort seems worthless. You as the team leader are the one whom all team members are looking towards for guidance on how to participate in the team. If you are not doing your part or are showing poor working behaviors and a lack of respect for the organisation than many of your team members will follow suit. However, if you are a hard worker and you are modeling good employee behavior, then you will lead your team to follow that positive working example instead. Just as no two people are exactly alike, no team will ever be the same as another. When you are applying these performance improvement strategies, you must be conscious of how they are affecting your team so that you can adjust them to fit your needs more realistically. Don’t be too static and stuck on one way of doing things, or else you may risk ruining team performance and morale even more! 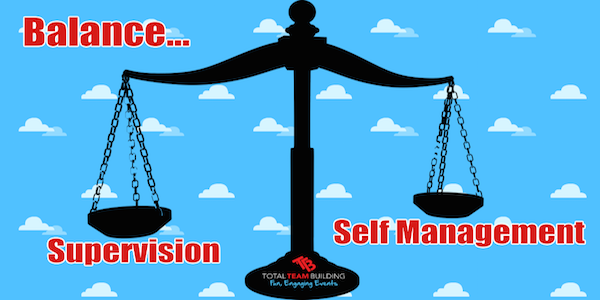 For more information about how Total Team Building can help you and your team contact us today.